Now-a-days I tend to use wonder clips as much, or even more than pins. My pins are always at the ready in a pincushion that sits next to my sewing machine. Stored in a box, my wonder clips are not as easy to quickly grab. Enter the pincushion that has a section to securely hold wonder clips - no more fumbling in a box. 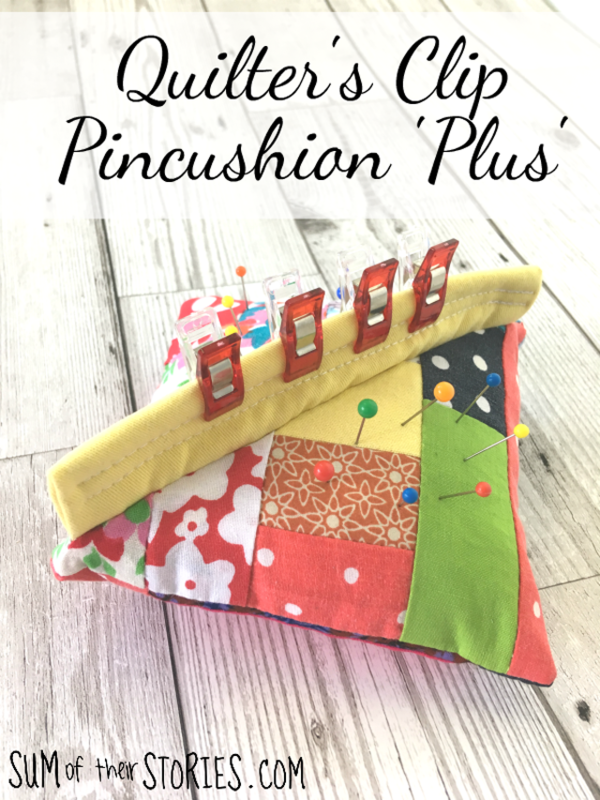 Julie, from Sum of their Stories, shows her version of the Quilters Clip Pincushion 'Plus'. Made with squares of scrappy patchwork, this project is perfect for using up very tiny scraps. The strip that holds the wonder clips is cleverly designed so that it stands by itself. These would make lovely gifts for friends who sew.